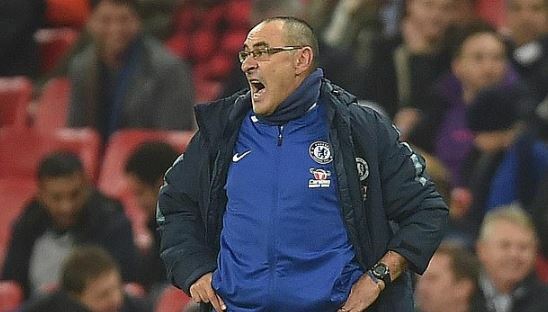 Just a couple of weeks ago we were unbeaten and praise was being lavished on Maurizio Sarri for the way he had changed our style of play. Now, with two defeats in three suddenly rocking the boat, things look very different. There has been widespread criticism of him in the national papers today after our loss to Wolves last night, with Simon Johnson in the Evening Standard saying he’s “stubborn” and blaming his unwillingness to change his system. That’s a fair criticism, but the players deserve far more blame. They were playing just fine in this system until they conceded – and they then lost all their confidence and crumpled entirely. His system wasn’t the problem when we were winning – why does it suddenly need to change when Kepa lets a shot through his legs? Do we intend to go 4-4-2 long ball the moment things turn against us? Sarri keeps faith in his system even when things are going badly – we should keep faith in him too.